Reiki is a natural healing system that uses Universal Life Energy to help enable healing. Pronounced Ray-key it is two Japanese words which mean Universal Life Energy, an energy which is all around us. It is an original method of healing, developed by Mikao Usui in Japan early in the 20th century, which is activated by intention. Eastern medicine has always recognised and worked with this energy, which flows through all living things and is vital to our well-being. You may be more familiar with it, known as ‘ki’ in Japan, ‘chi’ in China and ‘prana’ in India. Acupuncture, T’ai chi, Feng Shui, martial arts and Yoga are also based on the free-flow of this energy in a person. 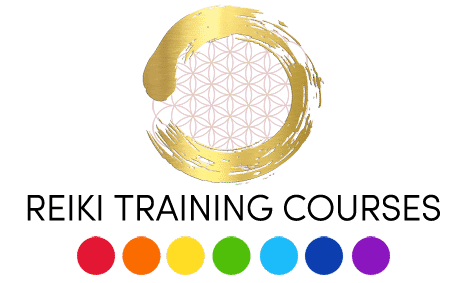 What is/how does Reiki therapy work? Reiki is the spiritual life force, or vital spiritual energy, said to reside in all living things so this is a therapy in which the therapist channels this energy from him or herself into the patient by the gentle laying on of hands, to activate the natural healing processes of the client’s body and restore physical and emotional well-being. This healing is safe, gentle and can be very powerful. It will help your body self heal and also works on every level to balance body, mind and spirit. Reiki energy can help bring deep relaxation, soothing emotions and reduce negative feelings. Reiki can help you be the best that you can be by bringing balance & harmony back that has previously been lost in hectic day to day life. Reiki traditionally is a hands on form of natural energy healing, however a hands off approach can also be taken depending on the clients preference. It is non intrusive and usually the Reiki treatment is given with the client lying down on a treatment couch. No massage is involved and the client remains fully clothed and the treatment is given using hand positions. Sessions can be on a therapy couch or chair. You may feel sensations such as heat, tingling or coolness under the practitioners’ hands as the energy flows, or you may feel very little. Most commonly people experience a sense of well being, calm and relaxation and you may fall asleep or feel energized during the treatment. There is no right or wrong way to experience Reiki. People come to alternative and natural healing modalities for many reasons. Some are looking to de-stress, boost energy and find peace & relaxation, others have a specific emotional issue they would like to address, others want to complement the conventional therapy they are already using and some are just curious. Can you diagnose as a Reiki healer? Reiki practitioners are not trained in diagnosis and will not offer any diagnosis or prognosis. If you are concerned about symptoms you should see your GP or refer a client to do so. Please note, that Reiki is not a substitute for medical care. You should consult with the appropriate health practitioner in case of any medical condition. Can it be used in conjunction with conventional medicine? Yes Reiki can be used safely in conjunction with allopathic or conventional medicine. It may help to speed up recovery times and reduce some uncomfortable symptoms, such as after surgery. Can it be combined with other forms of complementary medicine? Reiki can complement many different forms of treatment and can often help smooth the healing process. It is also reported to work extremely well in conjunction with homeopathy, acupuncture and counselling and can help support any healing process. Yes, Reiki can work wonderfully on children of all ages. However if you are working professionally you will need parental consent, Reiki is suitable for children under 16.